The closed cabinet looks like any other 50's B&W TV set. 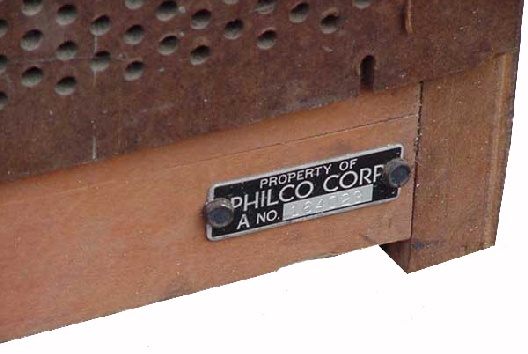 I have seen a similar style cabinet in a 1952 Philco B&W ad, 17" Model 1844-M. As this cabinet has no removable panels like other early color sets, it may have been just pulled from the line to house this set. The cabinet is 37"H x 27"D x 27"W, and heavy! 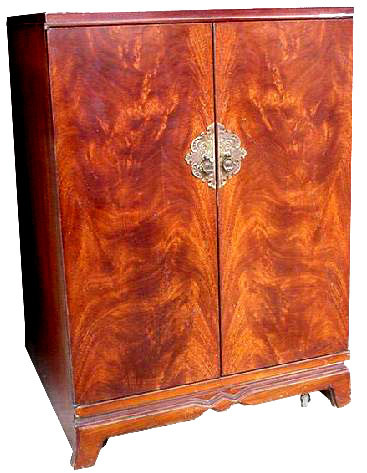 The finish on the doors is a type of "photo-finish" that is often found on early radio cabinets. Open, it has a strange look to the picture tube and an extra knob in the center, the "CHROMA" control. The tuner is a twelve channel with a UHF position, there is no UHF tuner installed but there is a space next to the VHF tuner where one could fit. The other knobs are: volume/tone; vertical/horizontal hold; contrast/brightness. This set predates the famed RCA CT-100 by over a year. Three main chassis in the set, each with a hand painted serial number. 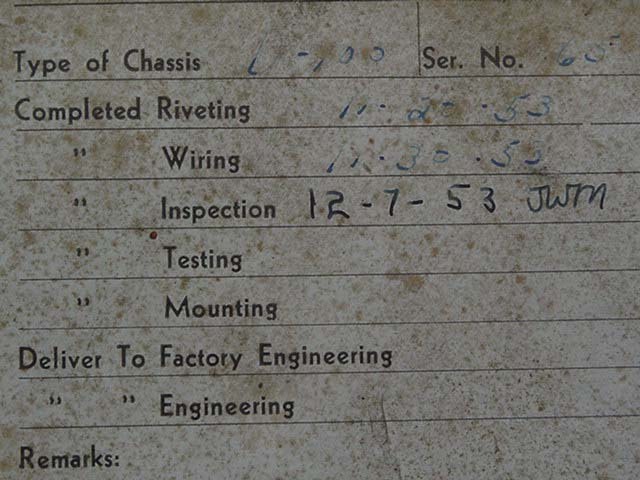 Each chassis also has an engineering tag. There are 49 tubes on the three chassis. 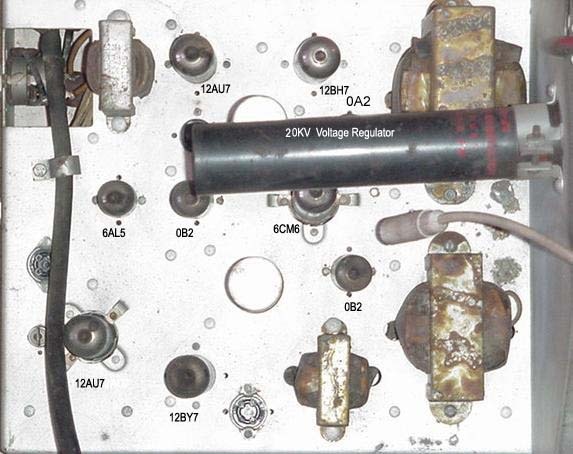 CRT tags, the CRT is a sample Sylvania tube (see below). 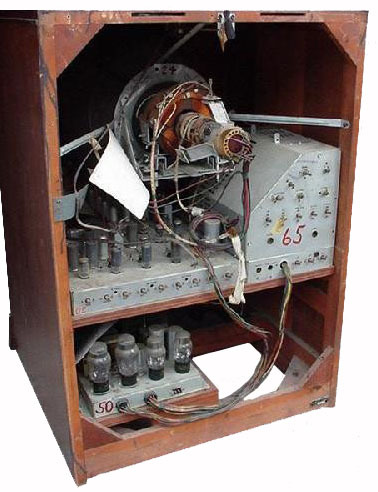 The CRT was delivered to Engineering on 12/7/53 the CRT label has a 12/1/53 date, didn't take long to get it installed. The only label or tag on the cabinet. 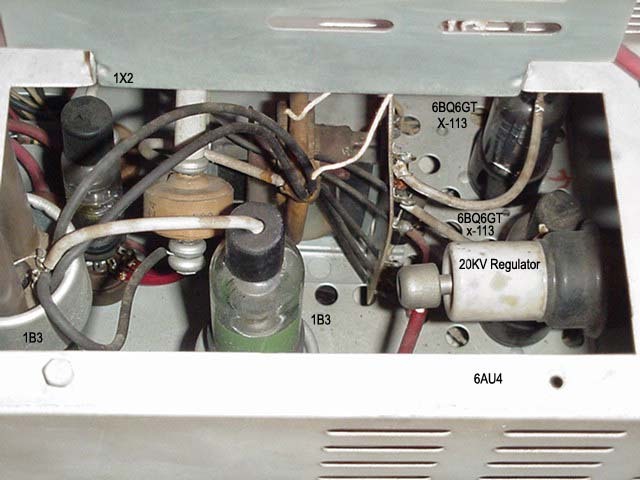 The neck of the CRT, the tube is not a 15GP22, it is a prototype model. The CRT is from Sylvania Electric Products. 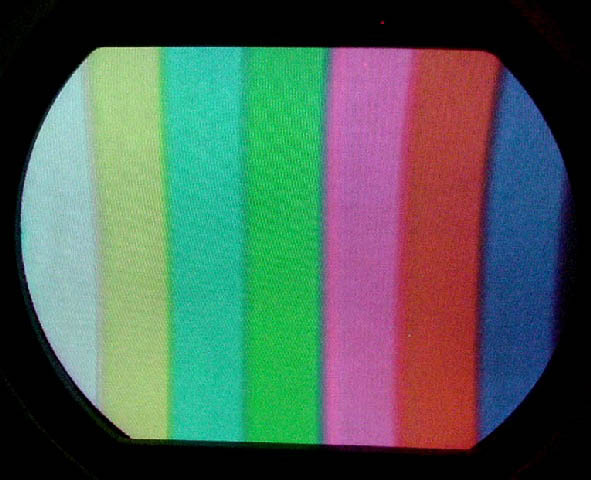 The flashing at the getters appears to be intact, the tube may be usable. 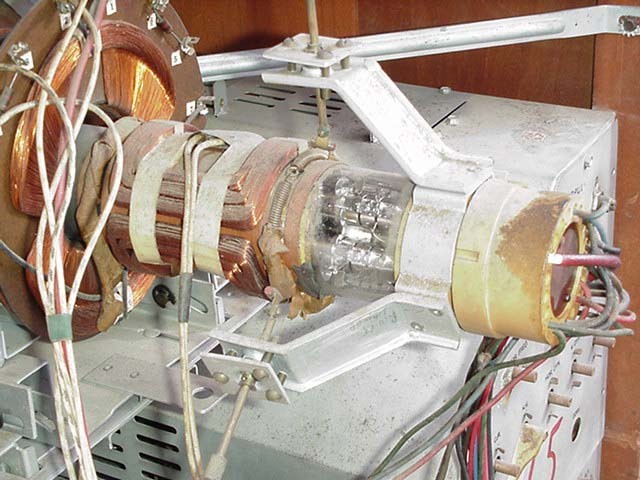 Update: The CRT is still under vacuum, follow the restoration here. Tube layout on front half of the deflection/HV chassis. Notice two 0B2 and one 0A2 voltage regulators. 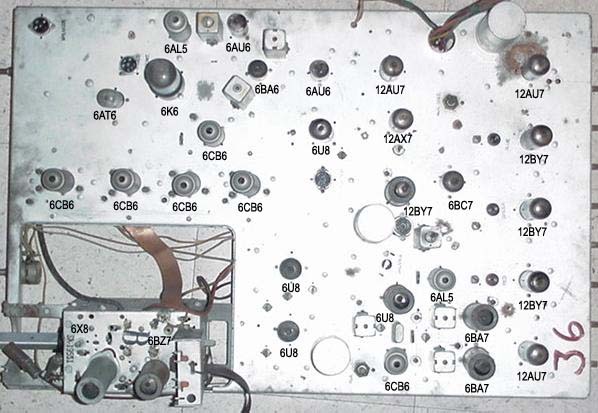 The horizontal output tubes are stamped 6BQ6GT, but have been overwritten with the number X-113. Also if you look at the plates you can see a long piece of ceramic material banded to the plate, maybe a modification to dissipate more power?